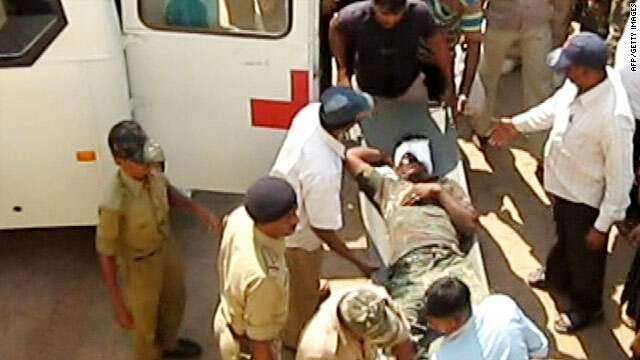 8 APr : Two days after the worst-ever Naxal attack in Chhattisgarh that left 76 security men dead, police on Thursday said some Maoists might have been killed in the encounter. “We suspect that during the exchange of fire our jawans too killed some Naxals, whose bodies must have been carried away by the outlaws,” IGP R K Vij said. Police officials including the state DGP Vishwaranjan, Central Reserve Police Force (DG) Vikram Shrivastav visited Tadmetla forests in Dantewada, where the massacre took place. Police recovered five tiffin bombs and six grenades from the place, Vij said, adding blood marks were noticed at the place from where the Naxals fired. Senior police officials said security has been beefed up in all police stations and search operations have been intensified across the state.